Mango Chutney: UNIQLO: Save Japan! A roaring of tense colours, and interlacing of opposites and of all contradictions, grotesques, and inconsistencies. 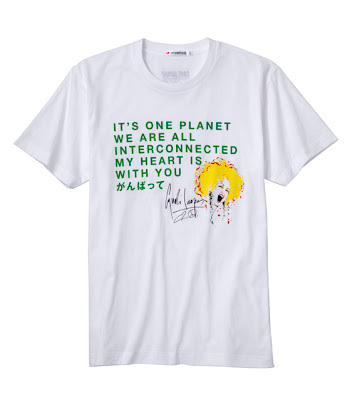 The popular Japanese brand UNIQLO has enlisted the help of 10 celebrities to design a series of disaster relief t-shirts for $19.90 each, the proceeds from which will go to the Red Cross. They go on sale June 25th - check them out here!